For Women’s History Month, we are publishing Celebrate Her—an essay series honoring women who deserve more public praise for how they have inspired us individually and empowered their communities: Scientists, activists, and artists. TV directors, comedians, and actors. Burlesque dancers and wrestlers. Those who have passed on and those who are still with us. 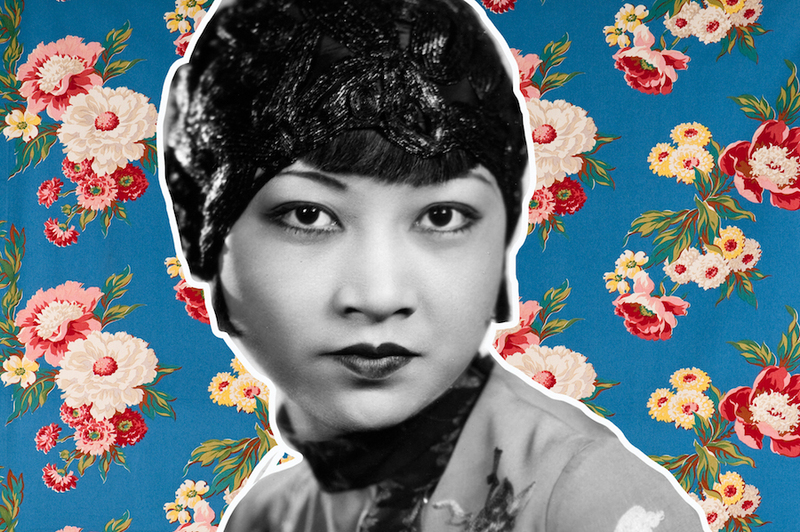 Here, HG contributor and aspiring actor Emily Mun shares what trailblazing Chinese American actress, Anna May Wong, means to her. Read the rest of these essays here throughout March, and read about even more incredible humans in our Women Who Made Herstory series. I was a lonely and withdrawn child in middle school who was looking for a sense of belonging. Then I found Anna May Wong. I’d been having a difficult time making friends with my classmates, so I’d turn to the wall of books at the back of the classroom whenever I wanted an escape. I had my own issues with my parents; they were immigrants from Malaysia of Chinese descent, and I was born and raised in America. There were language barriers and culture clashes at home, and my parents couldn’t comprehend my dream to pursue acting. I didn’t understand them, and they didn’t understand me. It was the same in school with my peers—I was either the only or one of the few Asians in my grade. I did not have a place where I could belong peacefully. While exploring the classroom bookcase one day, I stumbled upon a picture book about Chinese American history. In the top corner of one page, there was a photograph of a woman with soulful eyes, long lashes, and heart-shaped lips. 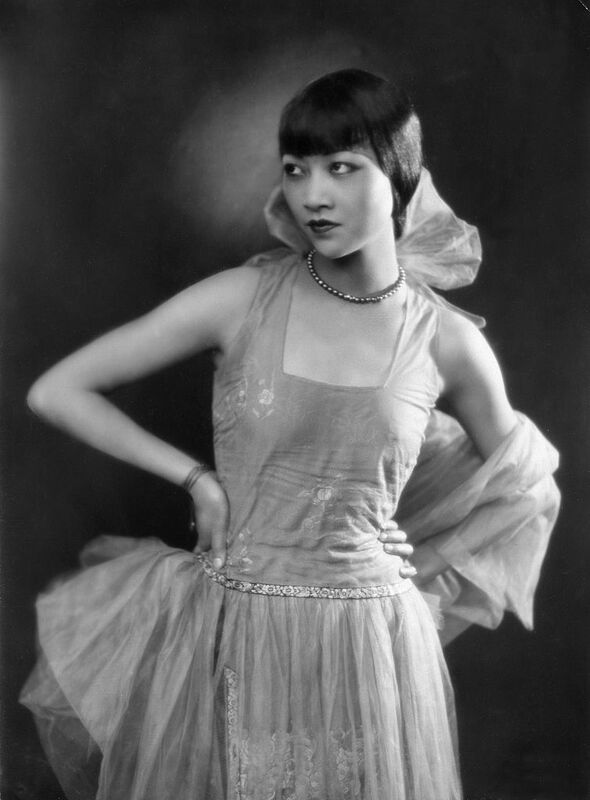 A little biography underneath the picture told me she was Anna May Wong, the first Chinese American movie star in Hollywood who began acting in the 1920s. Back at home, I continued researching Wong on the internet. I thought she was beautiful, and I learned she was known for her flapper fashion, for how she showed off her legs, and even for being photographed in suits and tuxedos. In fact, in 1934, she was voted “The World’s Best Dressed Woman” by the Mayfair Mannequin Society of New York in recognition of her being a fashion icon. As she grew older and chose to pursue acting, she made Anna May her stage name. I continued spotting glimpses of Anna May Wong throughout my high school years. I recognized her name being dropped as I read Shanghai Girls by Lisa See. My U.S. history teacher mentioned her during a talk about cinema of past eras. At home, I watched The Toll of The Sea by myself so I could see her perform in the silent film that launched her into stardom. She faced racial barriers in casting because America’s “anti-miscegenation” laws banned people of color from sharing an onscreen kiss with a white actor, which meant that Wong could almost never play a leading lady. She moved to Europe for a time where she became a sensation, but she was still othered by the film industry. Though Wong was born in Los Angeles, she was considered foreign by Americans; when European critics reviewed her films, they neglected to mention her American birth. Eventually, Wong returned to Hollywood and was highly praised for her performance in the award-winning 1932 thriller Shanghai Express—though she was paid significantly less than her white and male co-stars. The most infamous casting discrimination she experienced was in the film production of The Good Earth, when MGM rejected her for a white actress in yellowface makeup to play the leading role of a Chinese woman. After this experience, she toured China for the first time and visited family in Taishan, where she hoped to perform in Chinese theatre. But being an international celebrity took its toll on Anna—she suffered from depression and struggled with excessive drinking and smoking. In the 1930s, Wong said, “It’s a pretty sad situation to be rejected by Chinese because I’m ‘too American’ and by American producers because they prefer other races to act Chinese parts." Still, she continued to pursue film in Hollywood and even played some less stereotypical roles, like in the 1937 crime drama Daughter of Shanghai. Wong also became more politically outspoken, supporting China’s struggle against Japanese imperialism in the Second Sino-Japanese War. In 1951, she made history with her television show, The Gallery of Madame Liu-Tsong, as the first ever Asian lead starring in a U.S. television series. In later years and after more films, Wong was set to play Madame Liang in the film production of Rodgers and Hammerstein’s Flower Drum Song, but tragically died at the age of 56 in 1961 after a heart attack and long battle with cirrhosis of the liver. 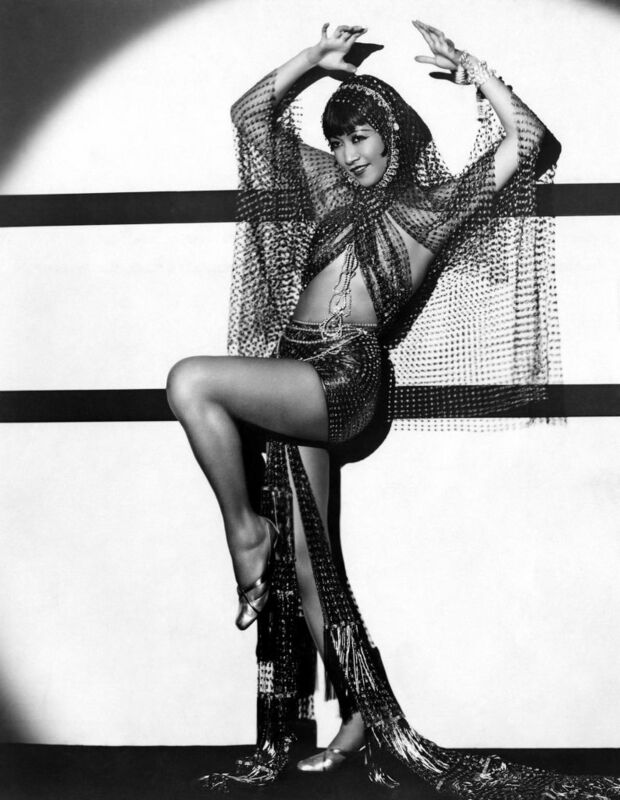 Anna May Wong performed in radio, theatre, and cabaret shows. She learned several languages to perform internationally—she did whatever it took to make her acting dreams a reality in a world that was set against her. Throughout her career and travels, she had romantic affairs with men and was even rumored to have been involved with women, like actress Marlene Dietrich, but she never married. Her true love was acting, and she faithfully dedicated her whole life to the craft. From the moment she came into my life, I related so much to Anna May Wong because she lived the duality of the Asian American experience. She lived with the discrimination that accompanies an Asian American identity. She lived with the fact that so many people seem unable to comprehend that Asians can be born in America. It’s 2019, but my kind of face still has random strangers on the street shouting “Ni hao!” in my direction. This is one of the reasons why I’ve long wanted to be an actress. I have never experienced a craft so healing and liberating, one that makes me feel like I can portray the change I want to see in the world. But as an aspiring Asian American actor, I easily grow somber when I think of the acting industry and its whitewashing, racism, and lack of representation. 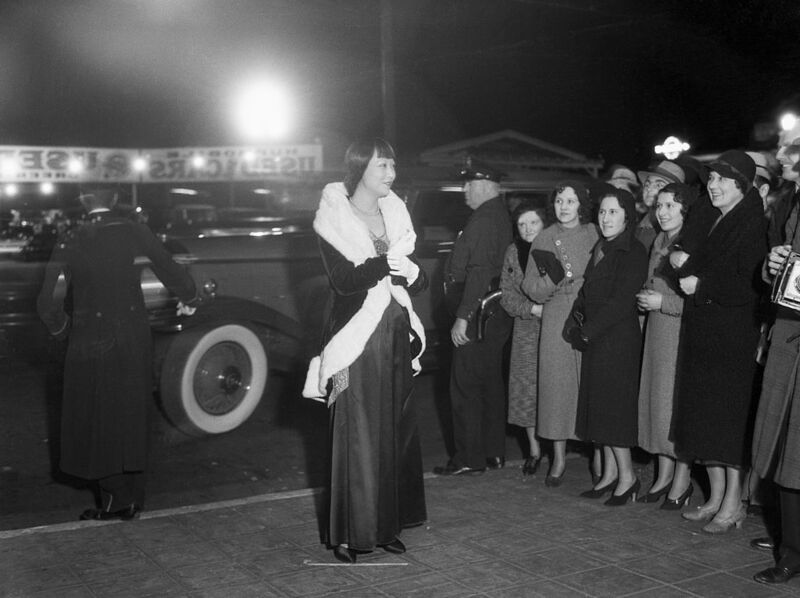 Whenever I feel discouraged, I look to Anna May Wong’s life. If she could carve out a name for herself in a time like the 1920s, then surely I can make my own accomplishments in the 21st century.